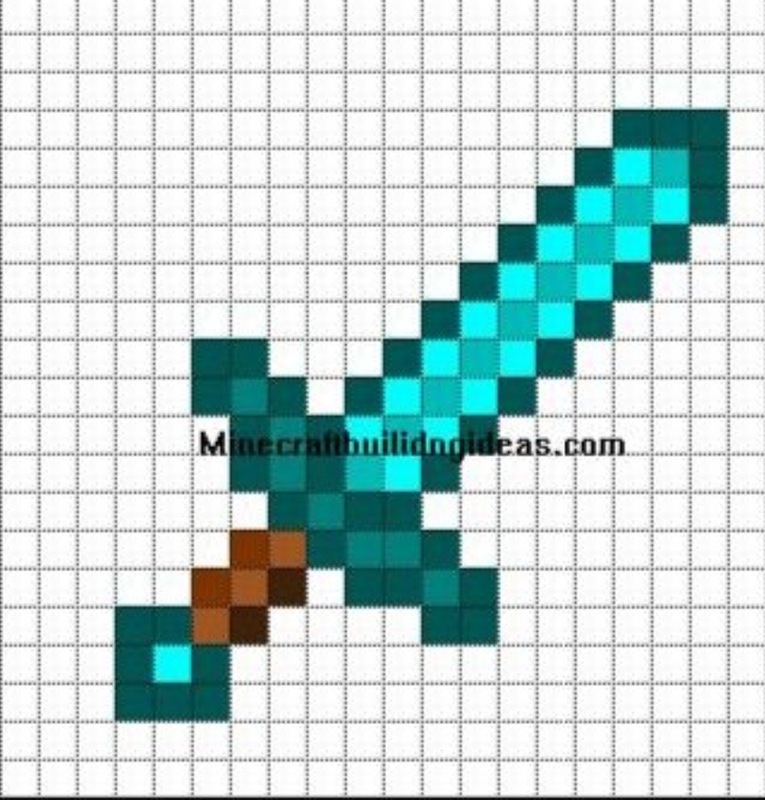 Build your own…GIANT Minecraft Weapons! If you liked the video we posted today and would like to try building similar designs in your own Minecraft world, then here are some easy-to-follow designs that can get you started. We used four of these (two in the video) for our own build – try them out and share with us here, to let us know how you get on! Want to decorate your world with some giant weapons? Well, who wouldn’t! 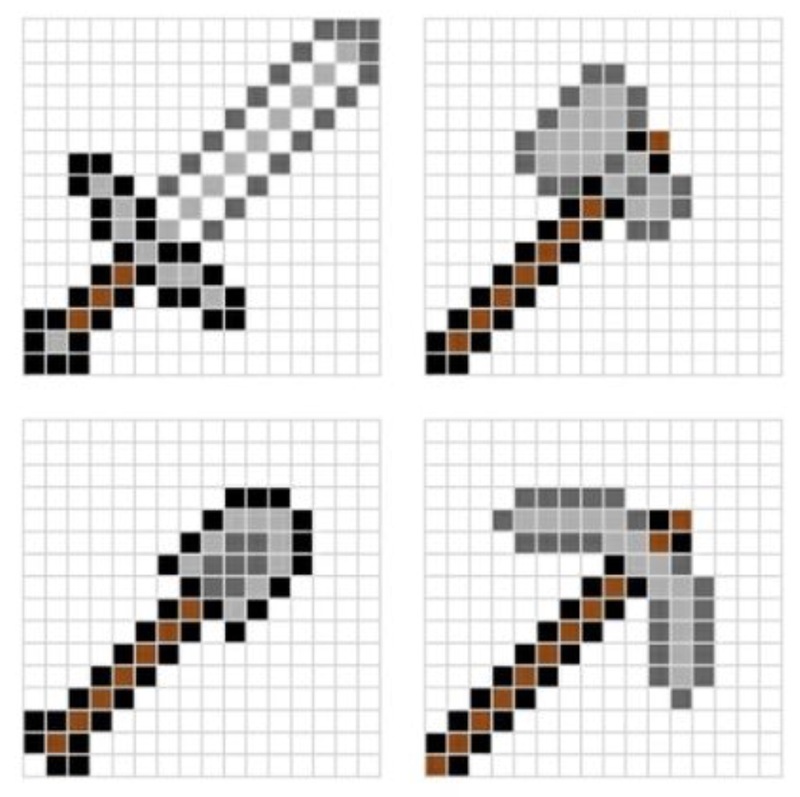 All the designs used in the ‘weapons’ build have been posted to the blog as well as some extra ones, so if you want to try yourself, there are some easy to use block designs on here – let us know how you get on if you try the build yourself! Build your own… Adventure Time! We’ve not posted the video for this yet, but thought we’d share the designs for the character heads for our Adventure Time themed build challenge, in case you want to give building your own a try! Hi guys! As promised in our last video, here are the designs we based our Minecraft Minion Zone on, if you want to give it a try building your own Minecraft Minion. 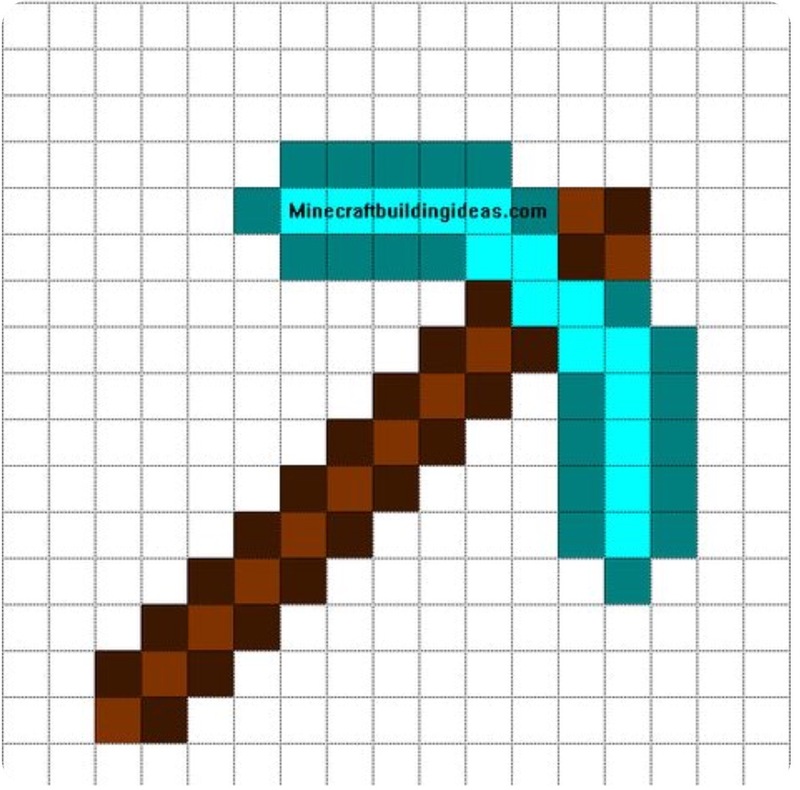 We picked these ideas / designs up from Pinterest – you can search for Minecraft designs, but can also use ones for Hama beads or even cross-stitch patterns, as they all use a grid to make the picture, which makes it really easy for counting the blocks and building in Minecraft. You can see that some of the images have website names on where you can get other templates / designs like these if you want to search for them. Good luck with your own build project and come back and share your images/links with us if you like!